There’s not long to go until Christmas arrives but there’s still plenty of time to choose some gifts for friends and family. If you’re buying for a fan of Game of Thrones this year then there are almost too many things to choose from. 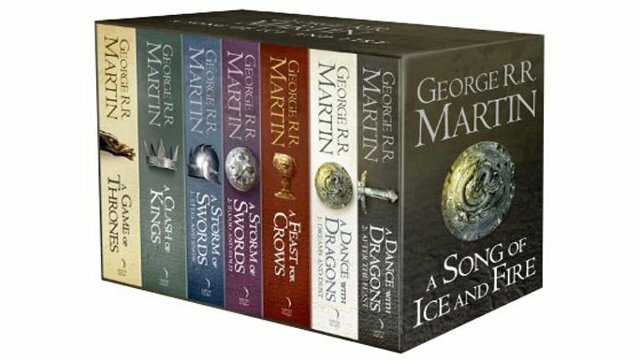 Below we suggest some of our favourite Game of Thrones gift ideas that are sure to please any fan of the show. The complete first seven seasons of HBO’s Game of Thrones are now available in a single box set. There’s over 60 hours of essential TV here. It’s a perfect choice for fans of the show who don’t own the series. We’d also recommend buying it as a gift for those friends or family who somehow managed to miss it. There’s plenty of time to catch up before the final season eight arrives in late 2018 / early 2019. It’s also best on Blu-ray. George R.R. Martin’s A Song of Ice and Fire is the greatest fantasy epic of the modern age and is the series that the Game of Thrones TV show is based on. This collectible box set includes an exclusive fold-out map of Westeros. Essential reading for all fans of the show and anyone who enjoys fantasy novels. The books are also available individually and the next book in the series, Winds of Winter, is expected late 2018 / early 2019. Start your day with a freshly boiled egg served in a Game of Thrones egg cup. Each cup in this set of four features the sigil of one of the four great houses – Targaryen, Stark, Lannister and Baratheon. A perfect stocking filler. It wouldn’t be Christmas without stockings to hang above the fireplace would it? What better for a Game of Thrones fan than a stocking featuring one of the sigils of the great houses. There’s four of these masks to collect and build. Once you’ve built them you can hang them on your wall using the included wall mount. Alternatively you can take it off the mount and wear it on your head. If you’ve got plenty of cash to splash this Christmas and are buying for a Game of Thrones fan who like collectibles consider this. It’s a desktop sculpture of Castle Black and an accompanying section of the Wall. This piece is numbered limited edition. It includes a certificate of authenticity booklet and features the nights watch oath on the reverse side. 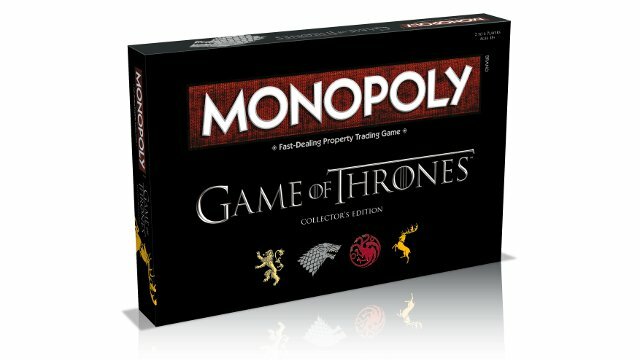 Play as one of the great houses in this Game of Thrones Monopoly and make wise use of your power and your intelligence in order to determine the true king or queen of the realm. Featuring infamous locations from the original dramatic television series, including Castle Black, Winterfell and King’s Landing, players will buy, sell and trade their way to sit atop the Iron Throne. Collectible tokens include: Dragon Egg, Three-Eyed Raven, White Walker, Direwolf, Crown and The Iron Throne. Custom Villages and Keeps replace traditional Houses and Hotels. There’s a huge range of Game of Thrones Funko Pop! Vinyl characters to collect. Pretty much all the main characters from the show are available including Jon Snow, Daenerys Targaryen, Hodor and even the Direwolves and Dragons. 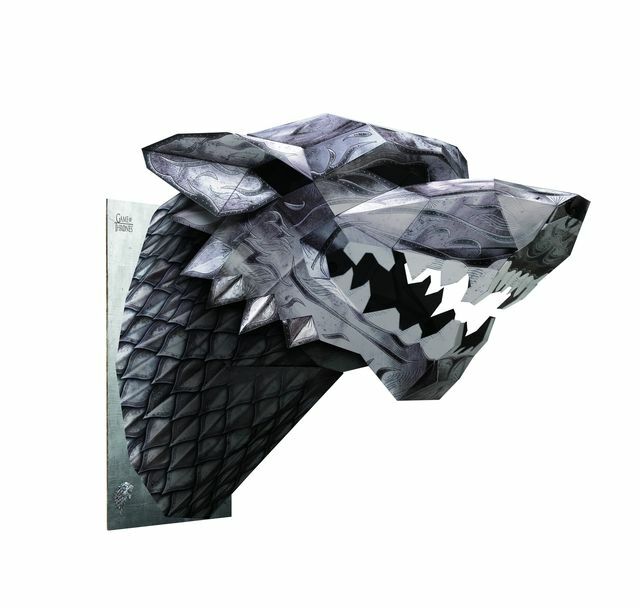 Check out the official HBO Shop for more Game of Thrones products including Clothing and Drinkware. Let us know your favourite Game of Thrones gift ideas in the comments below.